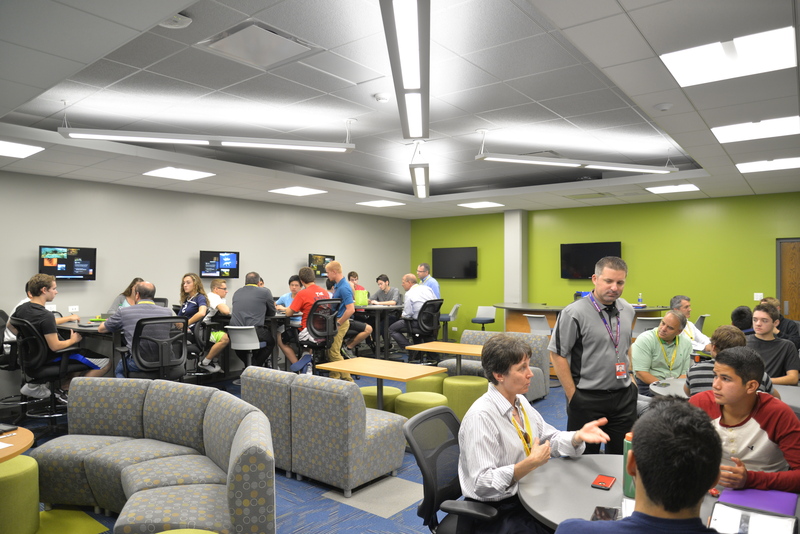 Conant High School Business Incubator students brainstorm business ideas with the help of industry mentors. Student teams from Palatine, Fremd, Conant, Schaumburg, and Hoffman Estates High Schools’ Business Incubator classes have worked all year to develop a viable business idea. Now they will present their business ideas to community “sharks” for seed money to start real businesses. The best teams from each school are selected to compete at the District Pitch Night for real funding. All students, parents, and community members are welcome to attend on May 23 at 6:00 p.m., in the Conant High School auditorium, 700 E. Cougar Trail. Students enrolled in B397 Business Incubator class have worked not only with their classroom teacher, but also had unprecedented support from community content-experts and mentors.